This postcard explains the origin of the expression. 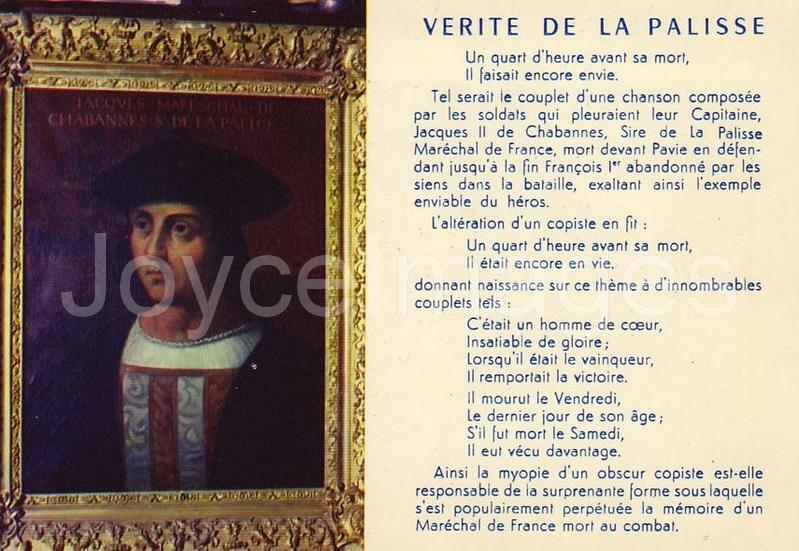 Jacques de la Palice or la Palisse (1470 - 1525) was a French nobleman and military officer. In 1511, he received the title of Grand Master of France. As a Marshal under Francis I, he fought against Italian armies, and died during the battle of Pavia. His soldiers composed a song in his honor, which said "hélas, s'il n'était pas mort, il ferait encore envie" ("Alas, if he wasn't dead, he would still be envied"). That line, misread as "il serait encore en vie", inspired a burlesque song by Bernard de la Monnoye, who replaced it by "Un quart d'heure avant sa mort, il était encore en vie."